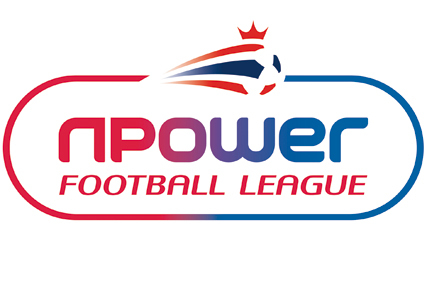 After 1,644 games, played over eight months the Football League season is very nearly over, and to celebrate this incredible season it’s time for the most prestigious awards in football – the Football League Blog End of Season Awards! So sit back, relax, have a drink if you like and get ready to disagree vehemently with most of the verdicts (and possibly agree with a tiny minority of the picks). Winner– Tom Pope (Port Vale) – The league’s top scorer has been sensational all season and to score 31 goals in any league is a magnificent achievement. He has been the driving force behind Port Vale’s promotion, and Pope has on many occasions been the difference between victory and defeat. With his large frame, commanding aerial presence and clinical finishing he is destined to shine in League 1 next season. Winner– David Cotterill (Doncaster) – The Welshman has struggled to settle in recent years at various clubs, and has been troubled by a serious loss of confidence. But at the Keepmoat he has managed to remind the football world of his outstanding natural talent. He was made the lynchpin of the team by Dean Saunders and through a series of wonder strikes he has become his club’s top scorer. The midfielder showed he is too good for League 1 and with the belief of a good manager he can flourish in the Championship. Winner – Mark Hudson (Cardiff) – It’s rare for a defender to get any kind of recognition but Hudson has been by far and away the best defender in the Championship this season, and his consistency and leadership justify his award. The big centre-back is an intelligent reader of the game, a physical presence but also a headstrong authority in the Cardiff back four. Their rock-solid defence was the main reason Cardiff ran away with the league and Hudson, as the leader of the defence deserves recognition as the Championship’s Player of the Year. Winner – Wilfried Zaha (Crystal Palace) – The big comparison this season has been between Wilfried Zaha and Blackpool’s Tom Ince. Zaha edges the competition, despite arguably being a less complete player than Ince. Zaha can at times be frustrating, at times underwhelming and at times bemusing. But this season he has shown his class on a far more regular basis. He has pace, exquisite control and by now a deadly end product. He is flair personified and he will only get better at Man Utd. Ince is a more rounded player, but he doesn’t have Zaha’s range and capacity for the incredible. Therefore the winner is Wilfried Zaha. It’s so difficult choosing a goal of the season from three leagues, but Chalobah’s thunderous wonder goal against Leicester last week triumphs over Anthony Knockaert’s (Leicester) audacious mid-air back-heel against Huddersfield and Simon Cox’s (Nottingham Forest) cultured control and finish against Birmingham. Winner – Martin Allen (Gillingham) – Mad Dog has had an unstable few years, moving from club to club, but he seems to have found his feet at Gillingham and this season won the first promotion of his managerial career. He has galvanised his ambitious team and led them to a deserved League 2 title. They have been the best side in the fourth tier this season and after a sublime start to their campaign never looked like slipping up. Allen’s determination and passion was personified by his team as they showed class and confidence on their way to success. Winner – Eddie Howe (Bournemouth) – Who else could it be? He returned to his old club in October with the Cherries battling relegation. He transformed the seaside club into a team of aesthetically pleasing winners, heading on a relentless run of results which saw them shoot up the table. Howe managed to get the best out of his team and the addition of Matt Ritchie was a shrewd bit of business. Bournemouth were unlucky not to win League 1, but that won’t matter one bit. Howe has completed the job he started five years ago and taken Bournemouth to the second tier for only the second time in their history. He may be one of the youngest managers in the division but he is also one of the brightest. Winner – Malky Mackay (Cardiff) – In a league where inconsistency has been the recurring motif the Cardiff boss has cultivated an efficient and focused squad, whose reliability has seen them take the Championship title with ease. He has created a winning mentality among his players and a steely stubbornness which will be essential if they are to stay up next season in the Premier League. After years of last ditch failure and disappointments Mackay has found the magic formula which has finally seen Cardiff achieve their long-held goal of promotion to the big time. It’s not always been pretty but it has certainly been successful. Winners – Yeovil – The little Somerset club have come from nowhere to qualify for the League 1 play-offs. Gary Johnson is back where he feels most comfortable after a few years away from Huish Park and he has got the Glovers punching above their weight in a seriously competitive division. Not even the most positive Yeovil fan could have predicted a fourth place finish but Johnson has led the club to their highest ever league finish. This has been helped massively by the goals of Paddy Madden, with the Irishman proving to be one of the bargains of the season in the Football League. With Brentford emotionally drained after missing out on promotion, Sheffield United not looking convincing this season and Swindon still looking slightly unsure under Kevin MacDonald, who’s to say Yeovil can’t cause an even bigger shock and win promotion? Winner: Wolves – While unsavoury the violent scenes at the end of Wolves’s home defeat to Burnley were an accurate representation of their fans’ anger. The club retained most of the squad relegated from the Premier League last May, but those players have not shown the necessary fight in the Championship. The Wolves have lacked teeth in the second tier and despite ambitions of an instant return to the Premier League they are now staring League 1 square in the face. The appointments of Ståle Solbakken and Dean Saunders were both poor, with neither manager’s track record getting adequately scrutinised prior to their arrivals at Molineux. Now the lacklustre Wolves look set to become the first team ever to suffer consecutive relegations from the top tier to the third tier twice in their history. This entry was posted in Football, League 1, League 2, The Championship and tagged award, Blackpool, Bournemouth, Bradford, Brentford, bristol rovers, Cardiff City, Chalobah, Cotterill, Doncaster, Gary Johnson, Gillingham, goal, Harry Maguire, Hull City, Ince, loser, Malky Mackay, Mark Hudson, Martin Allen, Mickey Adams, Notts County, Paddy Madden, Palace, PFA Awards, Phil Parkinson, Port Vale, promotion, relegation, Rosler, Saunders, Sheffield United, Steve Bruce, Swindon, Tom Pope, Walsall, Watfrod, wolves, Yeovil, zaha, Zola on April 30, 2013 by gutollewelyn. The inevitable was finally confirmed last night as Cardiff’s battling 0-0 draw against in-form Charlton secured promotion to the Premier League. Malky Mackay’s team has led the Championship since November and despite a shaky run of results the Football League’s perennial bottlers never looked like messing up their promotion charge. After years of “so near yet so far” the Cardiff fans were finally allowed to celebrate their long-awaited promotion to the Premier League. When Cardiff were last relegated from the top flight in May 1962 Harold MacMillan was the British Prime Minister, the Algerian War of Independence had just ended, the Cuban Missile Crisis was still a few months away and Elvis Presley was in the charts with Good Luck Charm. To say Cardiff’s promotion has been a long time coming is an understatement. Cardiff deserve their promotion, having been by far the most consistent team in the division. The Bluebirds have not played the most entertaining football in the Championship this season and most fans would agree the current squad isn’t as talented as some of the ones which have fallen short in recent years. But the key difference this season has been Cardiff’s winning mentality and the determination of the players to succeed. Since taking over at the club less than two years ago Malky Mackay has worked hard in the transfer market to bring in young, hungry and ambitious players, with most of his recruits coming from the Football League. Cardiff’s main strength has been its defence which has been rock solid, especially at home. The centre-back partnership of Turner and Hudson has been reassuring with both players enjoying magnificent seasons. Connolly at right-back has been impressive, and Andrew Taylor has been the best left-back in the Championship this season. The defence has had to cope with injuries, especially in recent months, but young Ben Nugent, the experienced Kevin McNaughton and on-loan Leon Barnett have filled in admirably. Goal-keeper David Marshall has also shown great improvement this season, possibly due to greater competition from former Peterborough goalie Joe Lewis. Marshall has always been a good shot-stopper but in the past the Scot has been unreliable when dealing with crosses. This season has seen the former Celtic man become a more rounded goal-keeper. One of the most remarkable things about Cardiff’s season is the way they’ve dominated the league without depending on any one player. It has been a team effort from start to finish, with the goal-scoring responsibility shared between the entire squad. No Cardiff player has reached double figures yet this season and 16 different players have netted for the Bluebirds this term. Some people have pointed to the £14m spent by Mackay in assembling his squad, but this does the manager a huge disservice. He’s firmly put his stamp on the club, getting rid of most of the worst traits of the Dave Jones era. He’s transformed the team from a dysfunctional collection of perennial bottlers into a well-drilled, determined group of winners. It’s often said a great team is one which can win while playing poorly. This has been exemplified by Cardiff. In a season where inconsistency has been rife in the second tier, Cardiff have shown the focus required to string results together. When times have been tough and the team’s been tired the side from the Welsh capital has somehow managed to turn draws into victories. Of their 25 league wins this season 17 have been by just one goal. This demonstrates the pluckiness and resilience of the team, and its ability to consistently grind out results. What may be slightly unnerving for Cardiff supporters is the way their season mirrors that of Reading last season. Reading too based their promotion push on narrow, hard-fought victories. Reading’s top scorer was super-sub Adam Le Fondre, who only managed 12 goals, with the top-scoring regular starter Noel Hunt scoring just eight times. Much like Cardiff the Royals had a solid defence, which frustrated Championship strike-forces and made amends for the lack of creativity in midfield and up front. Reading’s style of play, tough, workmanlike and resolute but unspectacular, was very similar to Cardiff’s style this season. Reading now look set for an instant return to the Football League because their gutsy attitude couldn’t compensate for a lack of talent and potency. But there are two key differences between Reading and Cardiff which could make the difference. Firstly Cardiff look set to spend big in order to strengthen the squad this summer. Controversial owner and lover of all things red Vincent Tan has hinted at giving Mackay a £25m treasure chest to help him turn his team from functional to Premier League class. Reading’s unwillingness to add to their Championship-winning squad cost them as their team was shown to be inadequate against a higher calibre of players in the Premier League. Early indications are that Cardiff won’t make the same mistake. Secondly Cardiff will be going up with more momentum than Reading. This is the first time in over half a century the Welsh capital will have a team in the top division of English football. Generations of supporters have never seen their club in the top flight, but all this frustration will now be transformed into enthusiasm and excitement. Having lived in Cardiff I can testify to the passion of Cardiff fans. They genuinely care about their club and desperately want it to do well. The whole city will get behind the Bluebirds and create a feel-good-factor. When a whole city, especially one the size of Cardiff, unifies behind a team it creates a buzzing atmosphere, which the players and staff can feed off. This was seen when Cardiff’s bitter rivals Swansea were promoted, provoking a wave of positivity which was essential in keeping the club in the big league. Reading fans had already experienced promotion once, and couldn’t recreate the excitement felt under Steve Coppell. Last year’s promotion lacked the buzz of their first one in 2006. Of course they can, but they undoubtedly need plenty of fresh faces, especially in midfield and in attack. It’s essential they add players capable of making the difference in the Premier League. Players such as Gunnarsson, Mutch, Cowie, Helguson and Gestede simply don’t have the required ability to compete in the top flight, while flair players such as Kim, Noone and Mason may find it tricky to adapt at first. Bellamy’s best days are behind him and Peter Wittingham is thought to be considering his future. The acquisition of Fraizer Campbell in January was a positive move which showed Mackay’s ambition as well as recognition of where Cardiff need to strengthen. The fans must also stay patient next season if they hit rough patches. Cardiff’s fans are renowned for their passion but they can also be incredibly impatient when things don’t go their way. They can’t afford to turn on the team if they go on an unfavourable run of results. Unity and support is imperative in what will probably be a tough season. The club’s Malaysian owner Vincent Tan also has to give his controversial rebranding a rest. Last summer’s kit colour change caused outrage among supporters and a similar fiasco this summer could take the shine off the promotion and draw attention away from the players. But Cardiff shouldn’t fear the big step up. There is a considerable difference in quality between this season’s opposition and next season’s opposition but the bottom of the Premier League is weaker now than it has been for years. 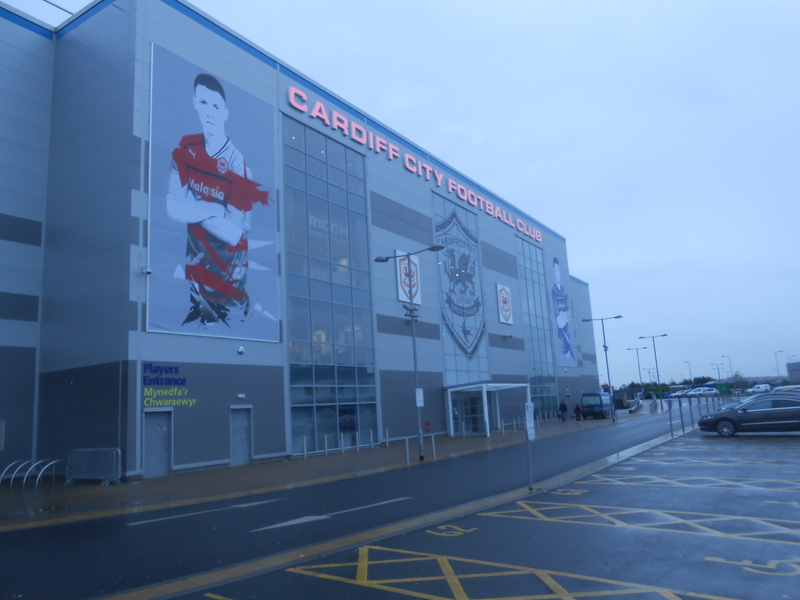 With some wise investments and the passionate backing of the club’s fans Cardiff could definitely stay up next season and succeed in the long run. This entry was posted in Football, The Championship and tagged 1962, £25m, Bellamy, bluebirds, Caerdydd, Campbell, Cardiff, Cardiff City, CCS, charlton, Cymraeg, Cymru, hooligans, Hull City, investment, Liverpool, Malky Mackay, Manchester United, police, Premier League, Premier league South Wales Derby, promotion, Reading, red, riots, Swansea, transfer rumours, Vincent Tan, Wales, Watford, Welsh, Wittingham on April 17, 2013 by gutollewelyn.